Add a pretty touch to your tea table with these vintage-style luggage tags, an effortless way to accessorise glassware, vases and crockery. On one side you’ll find a pretty rose motif while the other side includes space to personalise your tags. 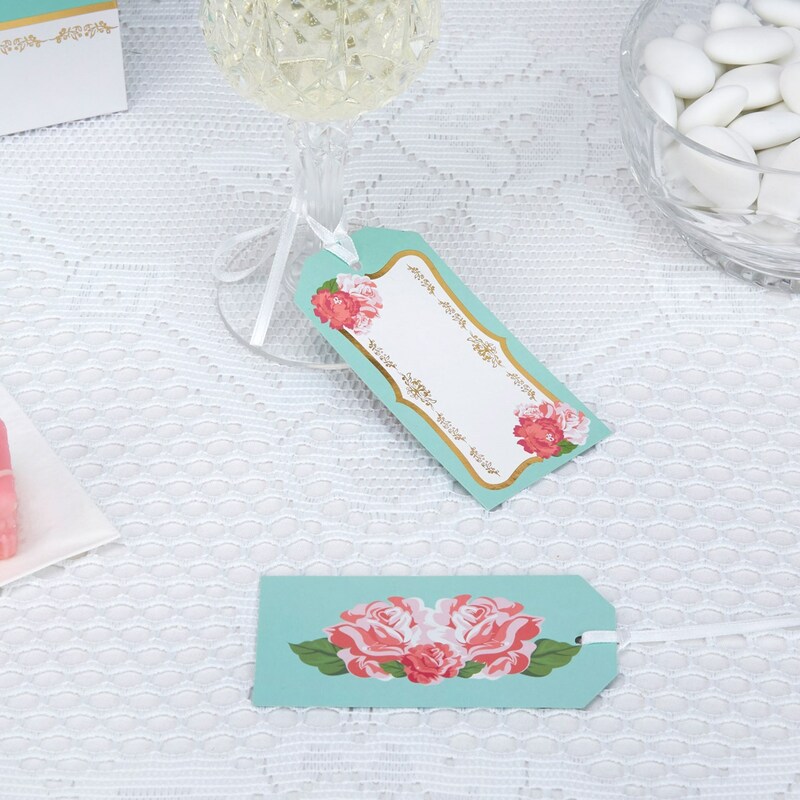 Supplied with crisp white ribbon, the tags feature an attractive colour palette of turquoise, white and pink to bring some vintage colour to your celebration. Each pack contains 10 Luggage Tags.